On the back of a successful pilot season over summer 2018/2019, plans are underway for the Draft League to be held over winter 2019, commencing in early May and running through till August/September. The competition for both men and women will be run at Radford on either Mondays or Fridays (depending on court availability). We are looking to put together a maximum of six teams in each of the competitions (M/F) with 8-10 players each. More teams will be considered depending upon demand. The ‘DRAFT’ will be conducted on April 28 . Competition rules will be published in due course. As per the pilot season, there will be prizes for the players in the winning teams – of both the league (Premiers) and Grand Final (Champions). The cost to participate will be approximately $120 per player. This will include a provided team playing shirt. Stay tune for updates… and for finalisation of the competition details. If you are interested in participating in the league, please submit an Expression of Interest below by 27 April. 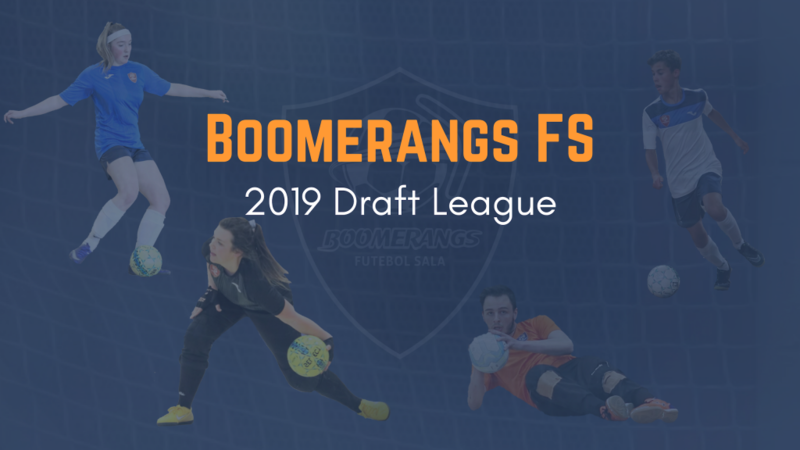 Boomerangs FS holds the right of nominating team captains, who make the team draft selections. Club President, Kristian Collins nominated six senior men’s players (Giovinazzo, Rathjen, Wilsener, Basser, Rinaudo, Ciminelli) and five senior women’s players (Gurney, Day, Basser-Silk, Corbett, Aurousseau) as team captains so that a draft process could be undertaken to select the teams. Players were selected from the club’s senior men and women, the youth men, 18 women and 16 boys and 15 girls teams. Some external players were also interested in participating. Matches were played either at the AIS or Radford College depending on availability. The results for the season and final competition tables can be found HERE.